This lightweight aluminium luggage rack is perfect for trips around town and is strong enough to hold a bag, a baby seat, or a basket. 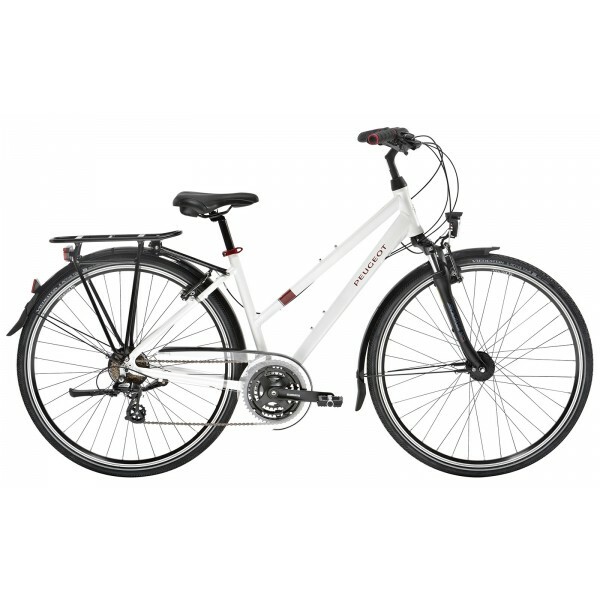 With its satin white frame and red details, the T02 D7 Mixte is not only very attractive, it is also practical, no matter the riding conditions. 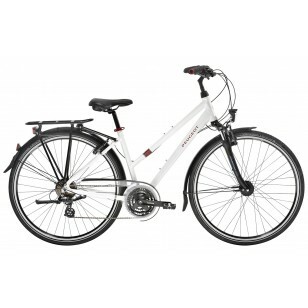 Its mudguards are a boon on rainy streets, and its built-in lighting system guarantees optimum visibility. This fully equipped bike includes a "Racktime" luggage system, a kickstand, and a suspension fork, making it the perfect solution for all your trips around town and adventures farther afield.